Washable, durable, and completely reusable! 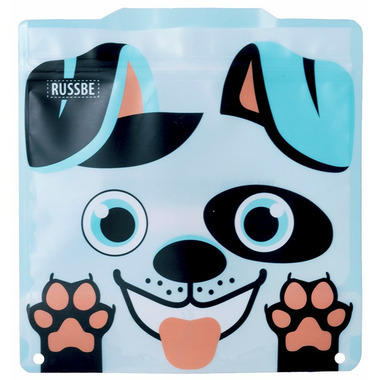 Just like all Russbe products, these stylish snack and sandwich bags are resilient and reusable. 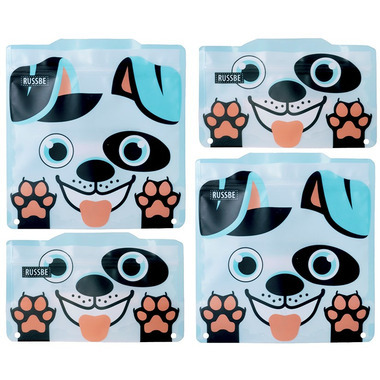 Along with the trendy, fun prints, these bags are durable with reinforced seams and a locking seal to keep your family's foods fresh. The gusseted, standup design ensures a mess-free snack/meal experience. These eco-friendly bags are completely free of BPA, PVC, latex, and phthalates, so you can snack happy, knowing youҒre making a healthy choice for you and your on-the-go family.